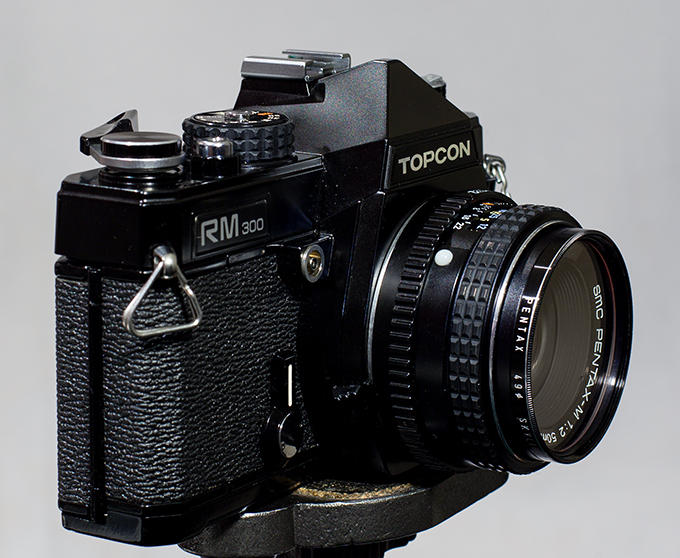 An RM 300 was the first 35mm SLR I ever purchased, after saving money from a Saturday job working at Dixons. 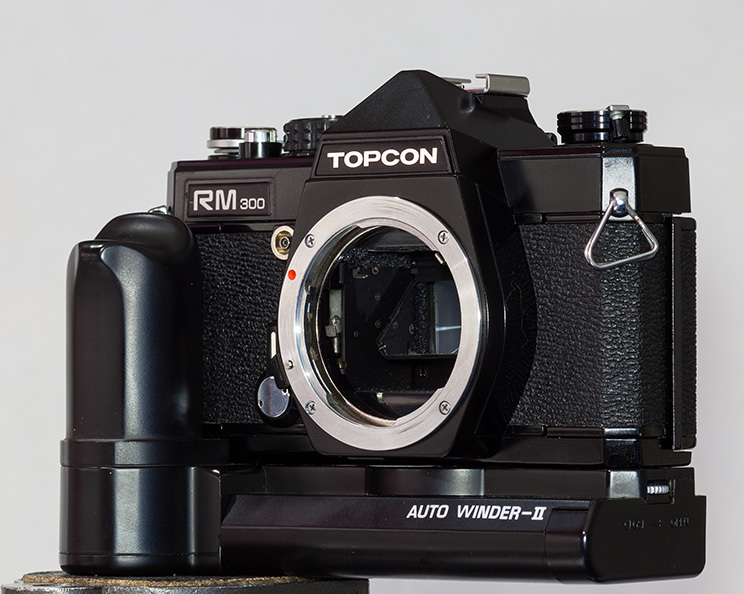 Topcon has a long and illustrious history as a camera manufacturer; the RE Super of 1963 was the first 35mm SLR to feature TTL metering and their first 35mm SLR ever came in 1957 – two years before the Nikon F or Canonflex. 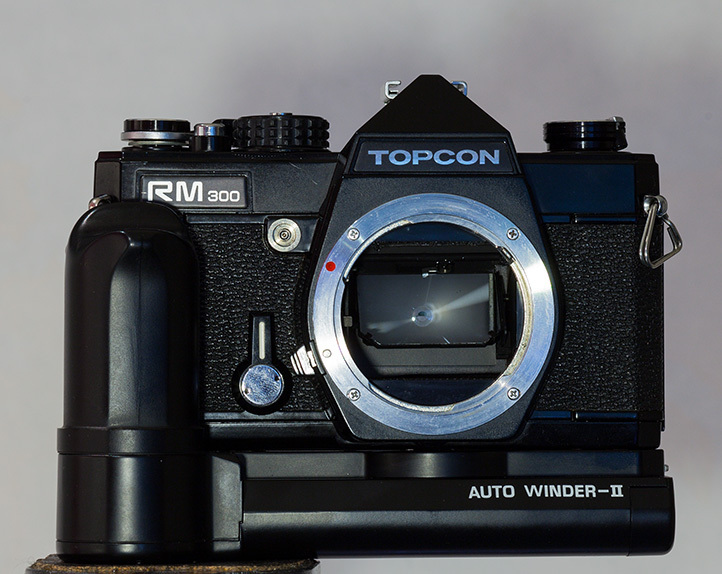 By 1980 (or thereabouts) the marque had fallen a long way from its prime, and I doubt that Topcon had much to do with the actual design and manufacture of the RM300 – it gives every sign of being a generic PK mount body of a type that was very common from Cosina, Chinon, etc at the time. Very standard specs for the time with a mechanical shutter of 1s to 1/1000, the RM300 offers a few advantages over the K1000. 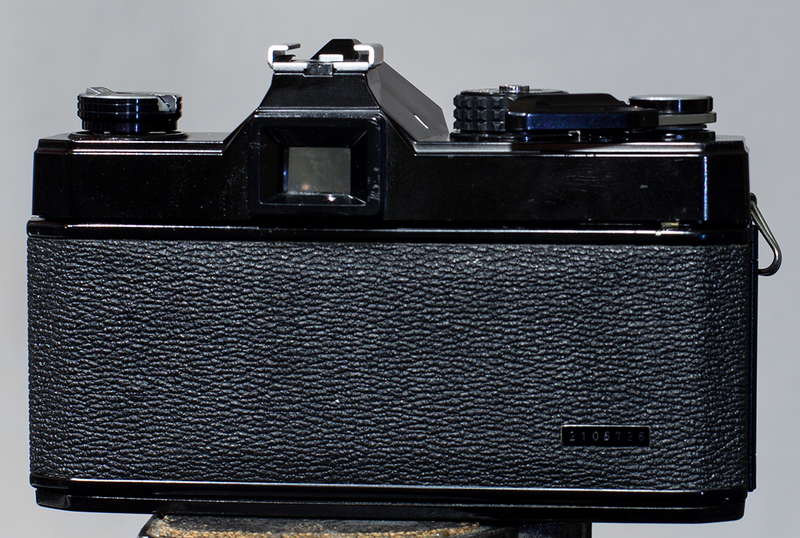 The vertical travel, metal bladed shutter offers a flash sync of 1/125th against the 1/60th of the K1000, and there’s a self timer. 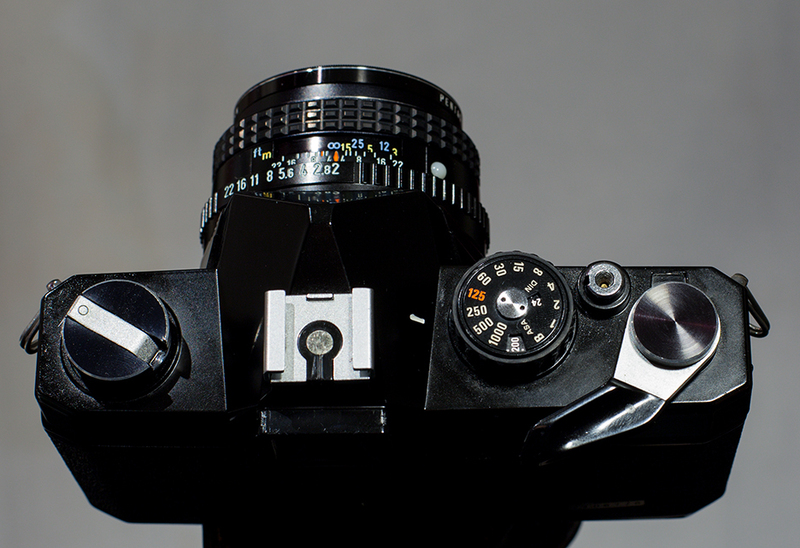 Metering is center weighted averaging with traffic light LEDs rather than a needle to indicate exposure.Also as an advantage over the K1000 the RM300 accepts a motordrive, and I consider myself lucky to have found one for my collection. It’s not what I should have purchased, but it’s what I got because I thought it was cooler. At school we used the K1000, as did almost everyone in the late ’70s and early ’80s. 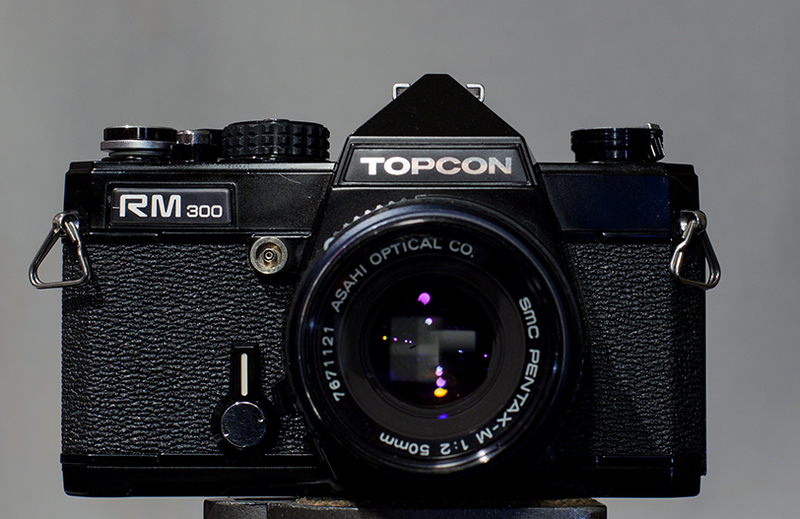 The RM 300 seemed more modern with its 3 LED exposure indicator, metal bladed shutter; but it really wasn’t very well built. My example almost immediately developed a fault and spent weeks back at the manufacturer being repaired! I bought this example through eBay from a British seller for £26, it was sold as “spares or repair”. They don’t come up often probably as they were never especially popular, and there’s little reason (other than sentimentality) to want to hold on to one.